Sometimes even hour to hour! Wandering and eloping can be because the child is over stimulated, because they don’t want to do a given task or simply just because they want to go after something they desire. Either way this behavior is dangerous and frightening. My son Joshua lacks the understanding of what can hurt him such as traffic and water dangers. Joshua has either eloped due to frustration or wandered to see something he wants and has absolutely no fear. He doesn’t understand stranger danger and certainly doesn’t comprehend the reason you need to stop and look both ways before crossing a road. Combined with his lack of ability to communicate, Joshua is at risk of being injured or killed if he wanders away from a safe environment. Knowing Joshua’s challenges with communication and no-fear, we have implemented many safety solutions to help either prevent wandering or help others identify Joshua if he did wander. We have invested in an Angel Sense GPS for Joshua. The GPS has been a huge peace of mind for us knowing if Joshua were to ever get lost we can find him within minutes using the phone app. I strongly encourage all parents who have a child that is non-verbal and has wandering tendencies to invest in a GPS for their loved one. The second solution for Joshua since he is non-verbal was purchasing Child Identification. I found If I Need Help’s shoe tags and Child ID cards and instantly bought them. I absolutely love these products because not only are they customizable but they are made out of aluminum so they are super durable. I have shoe tags on all of Joshua’s shoes and boots as well as child ID cards tie-wrapped to his coat, pack-pack and lunch-box!! Both my boys are my world and Joshua for sure has inspired me in so many ways! Helping me grow and learn and it is because of him I have a passion for safety. I created Autism Moms Know Safety, a non-profit organization to educate and help raise awareness to parents on Autism Safety. It was because of all of Joshua’s safety challenges and hard work we have had to do to ensure his safety, I realized I probably wasn’t alone. Other families were most likely experiencing the same challenges on how to keep their loved ones safe. Autism Moms Know Safety is committed to Autism safety awareness and ensuring caregivers are educated on different options and resources available to them. Natasha Barber was born in Canada. She graduated from the University of Ottawa with a degree in Engineering. 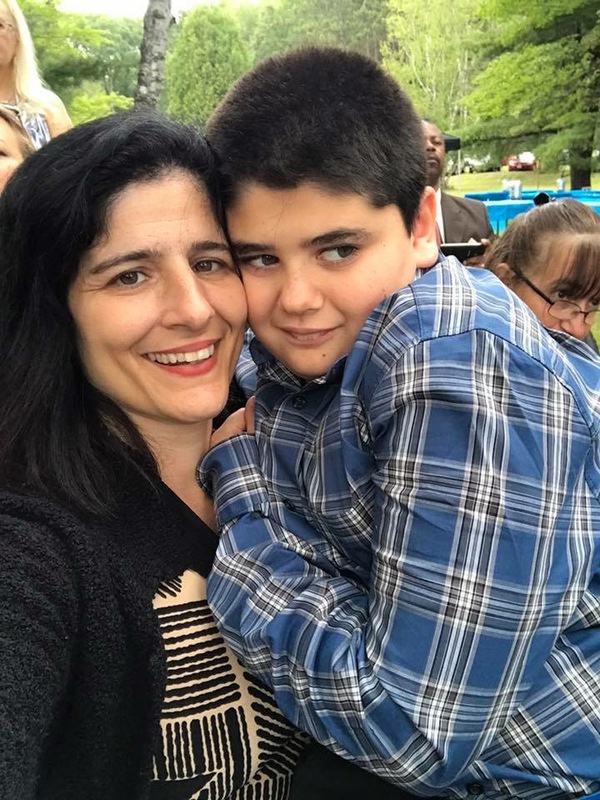 Natasha works for General Motors in Michigan and spends all her spare time with her family helping raise her Beautiful son that is on the Autism Spectrum and helping people all over the world with her Non Profit Autism Moms Know Safety.